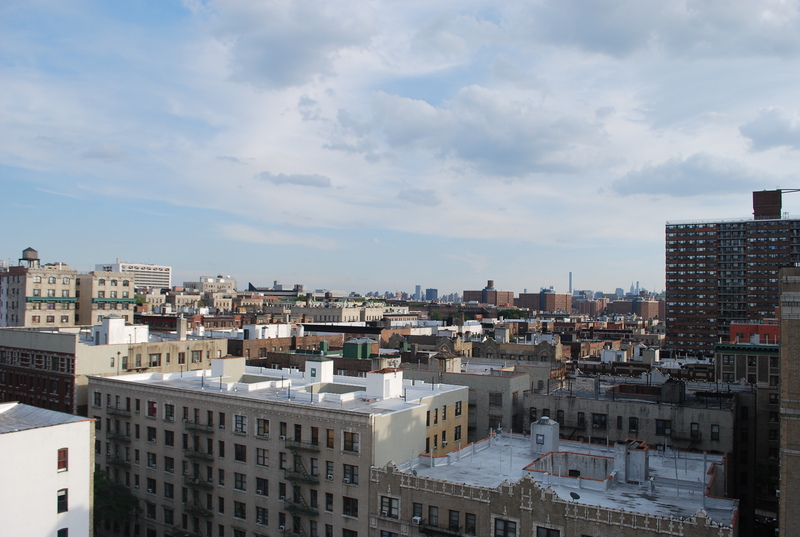 I have a great rooftop terrace in my building in wonderful West Harlem. I decided to use the space for a silly shoot, by me and my self timer. I’m really glad no one from my building saw me trying to find places to set my camera and scurrying to beat the camera to my spot. As you can tell, I am not a model. In fact, far from that. I prefer to be behind the camera. I did like my outfit this day though, and decided it was blog worthy. I’m often drawn to boxy tops that make me look like a toddler. I’m only 4’10” so looking young is not hard, but quite frankly, I do not care. Also, I have had this skirt for probably too long. I have been saving it for when denim skirts came back in style, and LUCKY ME they have! As for my shoes, they are apart of an extensive loafer/oxford collection. I am always drawn to menswear inspired shoes and I don’t think I will ever have too many pairs. This pair is my favorite and I get compliments on them all the time. 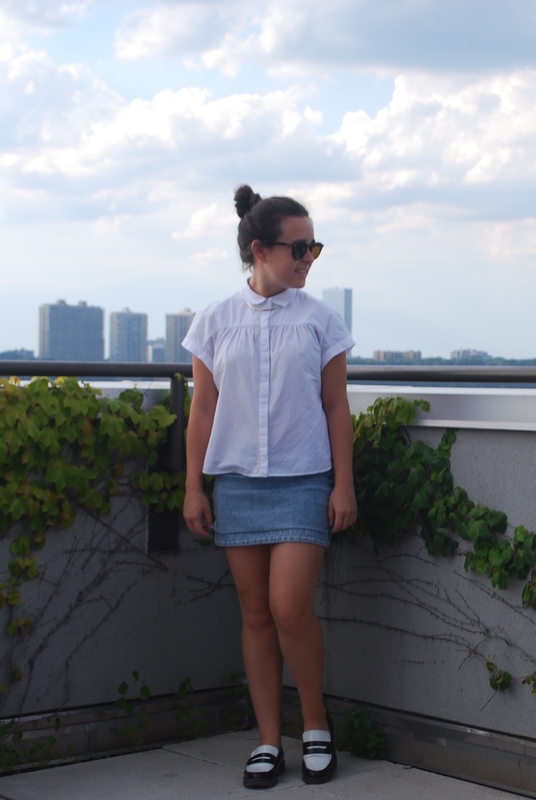 I love mixing menswear inspired pieces with feminine ones, like a mini-skirt. Even as a kid, I have loved boys clothes and trying to make them sort of girly. It all started during my Avril Lavigne phase of wearing ties and boys underwear and a lot of black and pink (I was really cool, ok?). This style has seemed to stick with me my entire life and I love it. My style is most likely influenced by my mother, who dressed me like a tomboy while I fought to wear bows and pink. I think she knew my style before I even did.